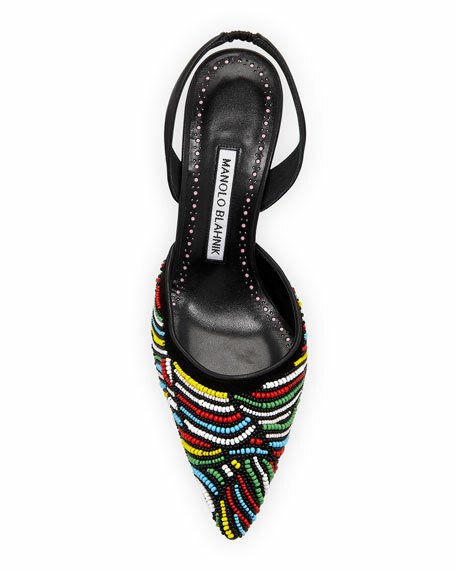 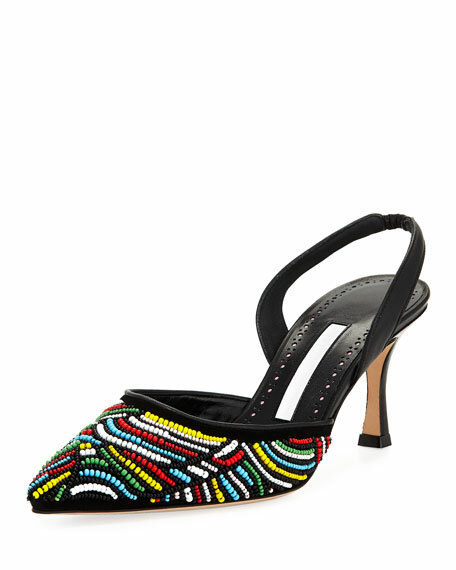 Manolo Blahnik pump in napa leather, sewn with colorful seed beads. 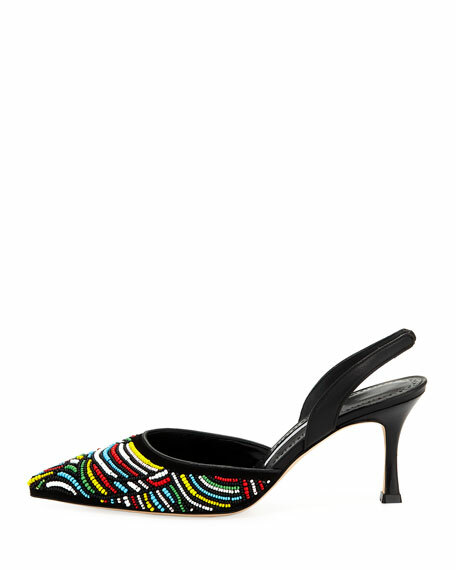 "Malyne" is made in Italy. 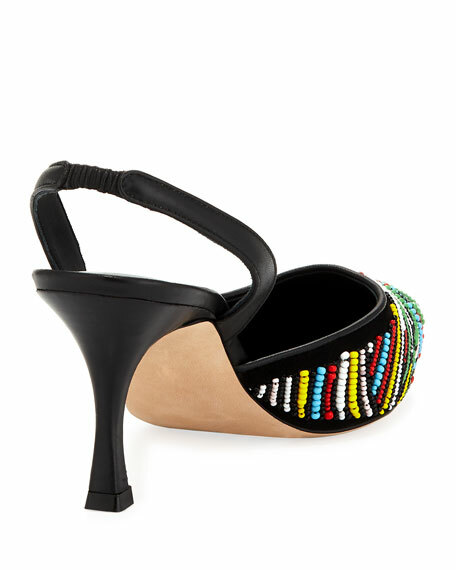 For in-store inquiries, use sku #2535497.